266 pages | 54 B/W Illus. Darfur is a vast region endowed with limited and unexplored natural resources, poor infrastructure, and lack of major development projects, and identifying its economic and human development needs brings us closer to finding ways to alleviate its human suffering and environmental stress. 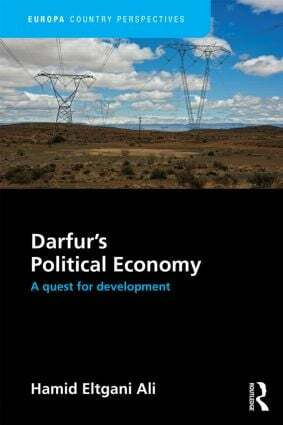 This book presents a broad spectrum of analytical perspectives from prominent academics, professionals, and practitioners from Darfur itself, adhering to the principles of scientific inquiry with intellectual rigor and objectivity in order to form a collective thesis on the political economy of Darfur. The first section in this title presents Darfur as a political entity, including its systems of land tenure and administration. The second section describes the water resources, agricultural production, and environmental conditions of the region. The third discusses the cost of the war, health issues, and women’s issues, and the fourth discusses energy and transportation infrastructure. While there are many existing books that discuss the current humanitarian and political crisis in Darfur, this is one of the first to explore the causes behind the crisis. This title is a valuable resource for academics, students, researchers and policy-makers with an interest in the region and in the wider fields of political economy and conflict studies. Hamid Eltgani Ali is Associate Professor and Department Chair at the American University in Cairo School of Global Affairs, Egypt. He formerly taught at Southern Methodist University and Texas State University, USA. He was an auditor for the US Government Accountability Office. Dr Ali has served on the editorial boards of many academic journals. PhD University of Texas at Austin, USA.